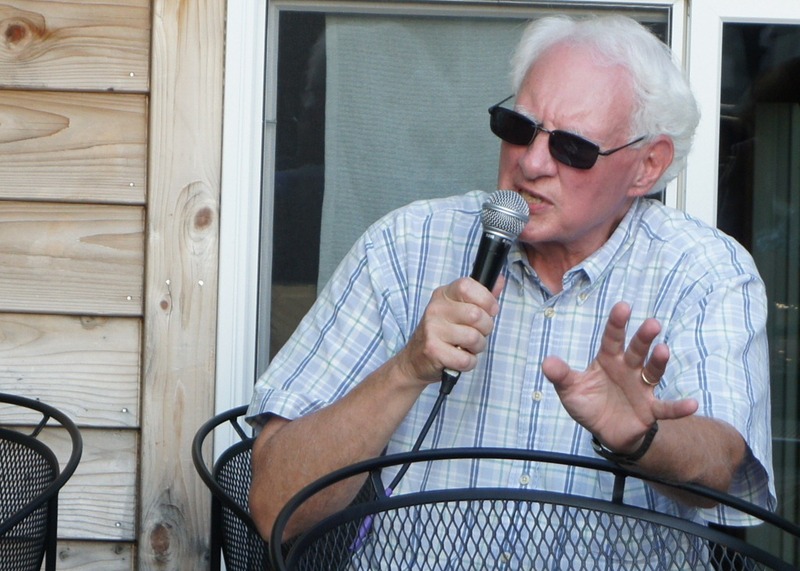 Contented Cow proprietor Norman Butler hosted a two-hour forum for Northfield City Council Ward 2 and At-Large candidates last night on the Cow’s outdoor patio. 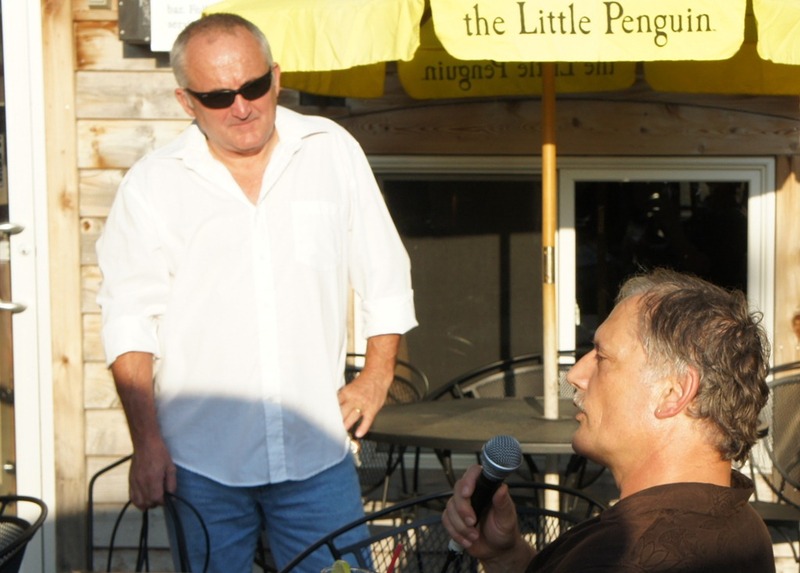 2nd Ward Council candidates: Frank Balster, Paul Reiland, Wade Schulz; David DeLong did not attend. 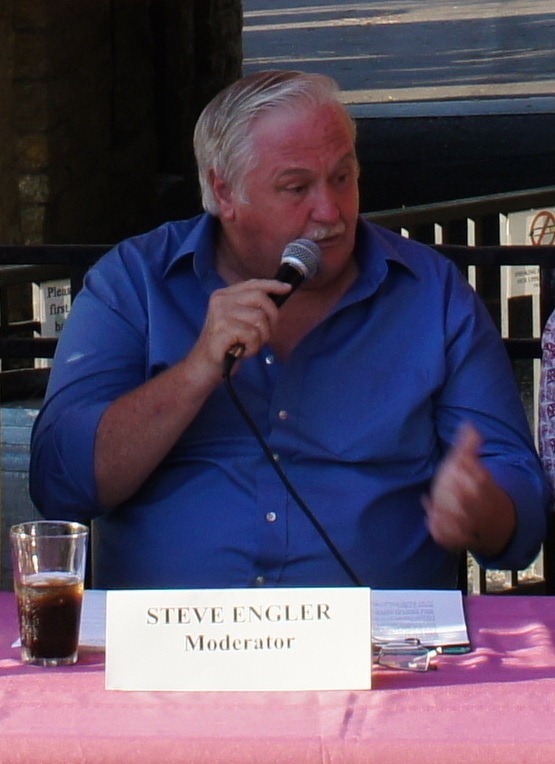 Steve Engler moderated the panel and made it much more interesting by interacting with the candidates when he thought their comments needed to be clarified. I loved it whenever he refused to accept empty platitudes. 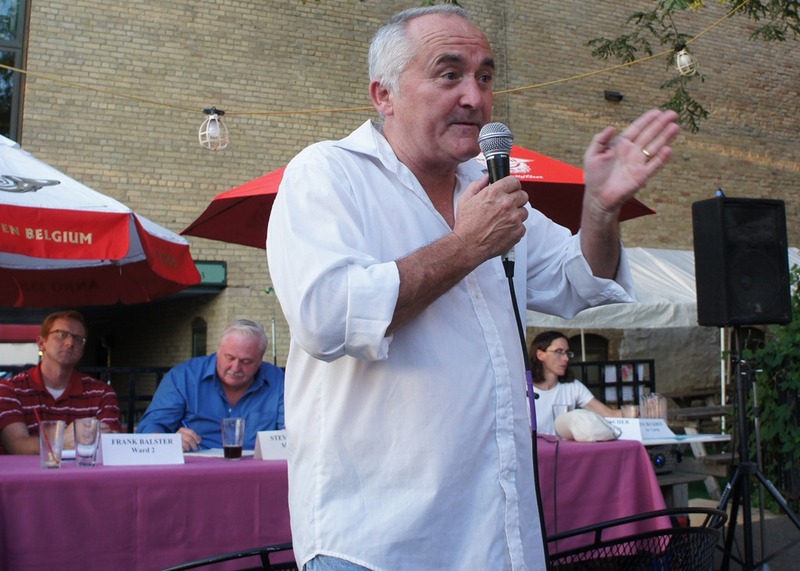 Norman goaded citizen/patrons into expressing their opinions instead of just asking questions. 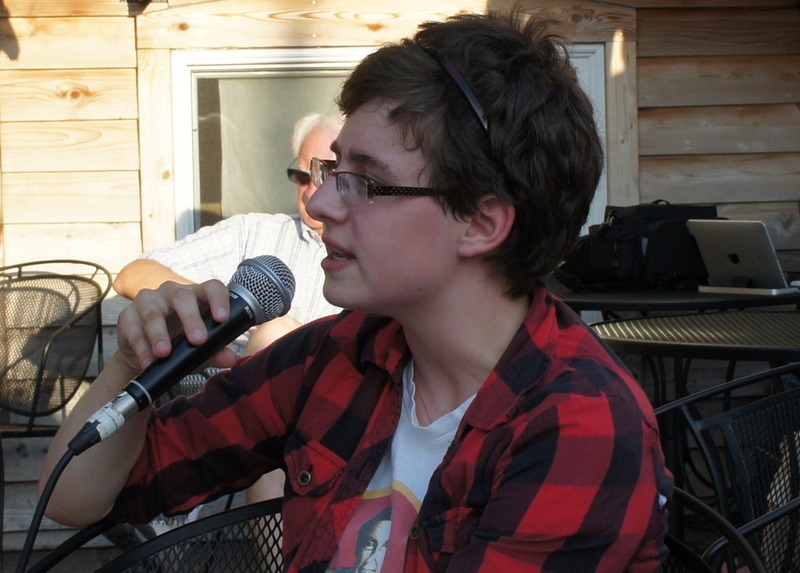 The primary election is Aug. 14. Absentee voting info here.